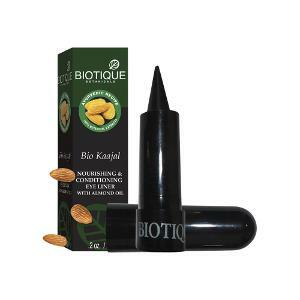 Biotique Bio Kajal Review Reviewed by Nikki Mishra on September 26, 2016 . 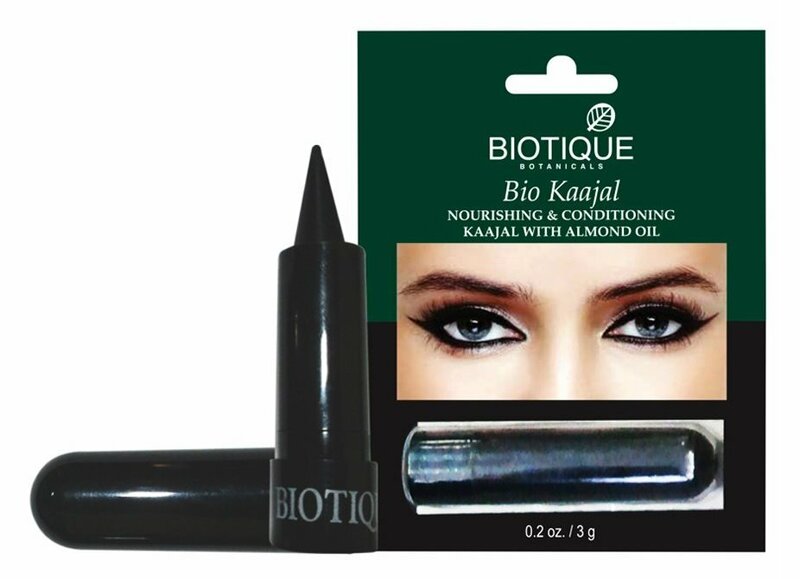 Biotique Bio Kajal delivers you attractive and lovely eyes. A decently priced kajal which is a favourite in my purse these days. I still vividly remember my first step into the world of “Looking Beautiful”.. into the world of makeups. It was through kajal or kohl through which I started fantasizing into this flamboyant world of makeovers. And am very much sure, this might have been the case with the many young ladies out there. With proven result of showering effective results to our eyecare since ages immemorial, it also beautifies them, letting them speak their own beauty. How nostalgic I become when I redeem the fond memories of yesteryears when my mom used to put a tika of it to keep me away from evils! But the modern language of kajal speaks its own language of beautification. In the pursuit of a smudgefree kajal (I believe every lady does this), I shifted from my regular lakme kajal to Biotique Bio Kajal. I like the very strikes of dark shades on my eyes, and especially all the more when there is no melting of it or smudginess. Enriched with the goodness and nourishment of almonds, let’s take a glance on its result areas. The major highlight of the product is that it is a dark attractive shade. Yes, I love the deep shade of it which is as dark as a coal. The second attractive point is its comfy packaging. Although, there is nothing extra look or added finesse to it bullet, yet it is very sturdy and speaks a messfree carriage. 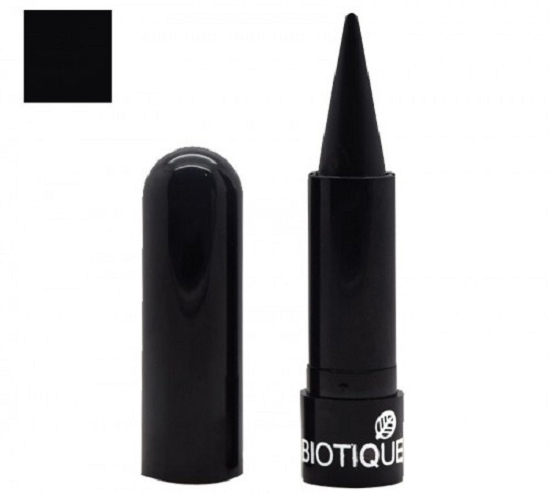 The bullet is bathe in entire black with the name Biotique inscribed in white at the base. Product Price And Quantity: Rs. 109 for 3 gm. I am in love with the dark shade that it delivers to the eyelines after application. Just a couple of strokes and you find your eyes smiling. At times, I had also tried striking more than two strokes. Though the result was good initially, it ended up smearing below making my face appearing a dark eyecircled one. This happened even after I had layered powder touches to prevent it from smudging. But, the effort was futile. Nevertheless, whenever, I apply only a couple of strokes, there is no such complain. So, I restrict myself and am cautious with the number of strikes whenever I apply. The kajal carries a faint smell which feels good. Very apt product for everyday usage provided you control the way you wear it. A couple of strokes work pretty well; will last long. Not at all suitable for heavy eyemakeup.